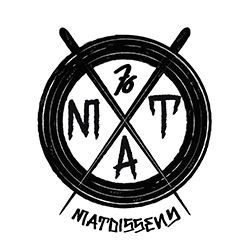 matdisseny – Marc Argelich Trigo | Custom skateboards & Illustration | Graphic Artist & Art Direction | Manresa (Barcelona). Marc Argelich Trigo A.K.A (Matdisseny) was born in Manresa (Barcelona) in 1976. Graduated in Graphic Design from the Art School of Terrassa (Barcelona) in 2003. He worked for several studios and graphic marketing departments Like: Nostrum, Tous, Grup Gamma or Medical Express as a graphic designer. After more than ten years in advertising, he decided to establish himself as a freelance and explore other disciplines such as art direction and illustration without leaving graphic design. The artwork that you can see here, is a long process of experimentation from one of his passions during his childhood: Skateboarding culture and his lifestyle. He works with recycled skateboards, from his skater’s friends or from the same artist. Marc works in order to give new life to the recycled skateboards, that have been skated intensively. Wood has got high durability and resistance but still has come to crack or split it. Is here where Marc feels comfortable with this noble and nice material such as wood, native from the forests of Canada and considered one of the best wood in the world, for the realization of skateboards, maple wood. A woodworking craftsman and mechanic, first erase the original drawing, sanding wood and then, based on sketches done in pencil, he applies a new design with markers (Posca) and sprays paint (Montana Colors ), achieving a new custom object with a unique design, and all this from a recycled skateboard or sometimes on a new blank deck. 2017. Skate Art – Noble Goods. 2016. Skate Art – Fat Caos. 2016. Skate Art – Eco Sound Fest. Sho Bcn Gallery | Barcelona). Galeria Bigote Smith | Barcelona. Territori Contemporani | Manresa . Museu Comarcal | Manresa . Col·legi d’Arquitectes | Manresa . Shaping a recycle skateboard is a painstaking process, and it can take a graphic artist like @matdisseny six to eight hours to craft a single board. Meanwhile, a factory with an assembly line can use a CNC machine to turn out a board in minutes and repeat the process hundreds of times a day. Those boards are, in many ways, the same as the boards that Marc crafts; But they’re also completely different, they’re a commodity. For many people, skateboarding is more than a sport, it’s a spiritual experience; Marc knows that and gets the best colors, shapes, and illustrations to create a new custom object with a unique design, and all this from a recycled skateboard or sometimes on a new blank deck. 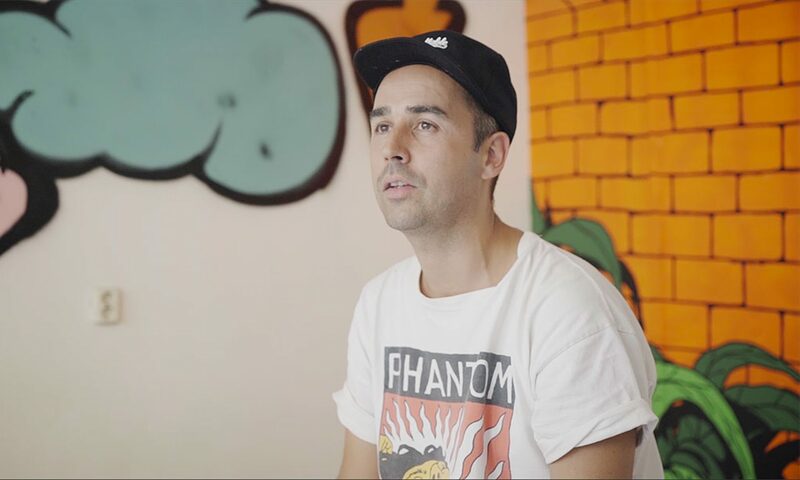 Marc has been crafting since he started the “Skate Art” project in 2014. Please fill in the commission enquiry form on this page, check the artwork that you want: Custom skateboard, logo or illustration. I will reply within 2 working days.